A B switch used to switch relays between 2 banks of batteries. 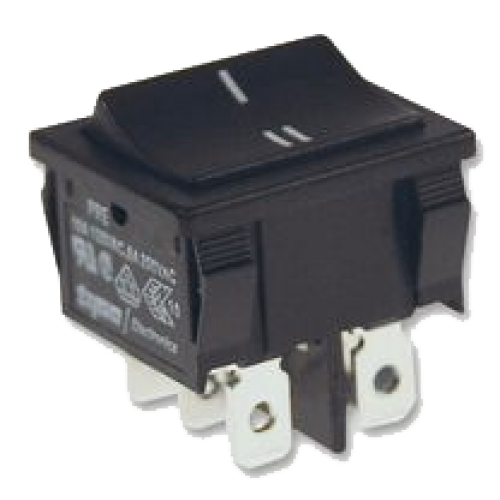 Using this switch with 2 relays allows you to manually switch your MPPT or your Inverter between battery banks as you need. A double-pole single-throw (DPST)on-on panel mount power Rocker Switch.